First, a definition of terms. * Candy is any story element that glorifies a character. It may not be something they like, but it makes them seem more awesome to the audience. It is the sweet taste of empowerment and victory mixed together. For instance, Harry Potter is so good at Quidditch that he’s allowed to compete a year early. That’s some serious candy. Candy’s counterpart, spinach, is anything that makes the character seem less awesome. We’re not talking about Gandalf being dragged down with the Balrog. That’s so awesome it hurts. Instead, spinach is Frodo giving in to the One Ring and pushing Sam away. This brings him down to a more human (or hobbit) level. Normally, candy is great. Without it, our stories would be really unpleasant to read. Candy is our reward for sticking with a character through their trials and tribulations. However, like most things, too much candy is a problem. We often describe such characters as Mary Sues. They are the ones who can do no wrong. They have no tension or drama, because they don’t encounter any meaningful challenges. 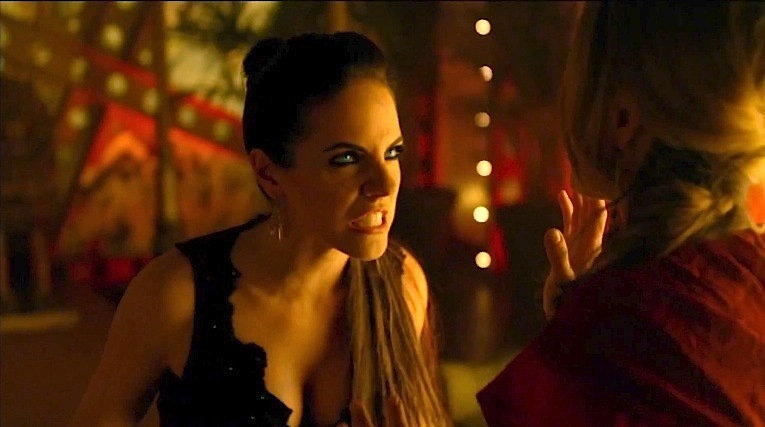 Ah, Lost Girl, the show about an orphan succubus trying to discover who she is. Or that’s what it would be about, if the other characters would stop singing her praises for five minutes. Seriously, the first few episodes are difficult to watch because of how much glorification is heaped on Bo from all corners. In fact, the writers seemed to think that was more important than actually explaining anything about their world. How Fae* society works is left by the wayside in favor of gushing about Bo. This is telling over showing at its worst. In the first episode, Bo is supposed to be a huge badass because she wins some kind of initiation fight. That would be fine, except the fight itself is spectacularly unimpressive. It’s short, Bo’s opponent has no buildup, and the choreography is simplistic at best. Pairing such an unimpressive scene with such grand dialogue is jarring and makes the show difficult to take seriously. If that was all the budget allowed for, then the scene should have been scaled down to fit. 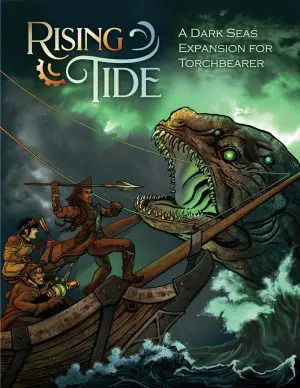 Things get even worse when Bo refuses to align herself with one of the two Fae factions. Neither she nor the audience know anything about these factions, so the reason not to choose one is obvious. You don’t want to ally yourself with someone who might end up being Fae-Hitler. Instead, the other characters all declare that this is yet another sign of Bo’s badassitude. She’s so cool she doesn’t need help from anyone. This sort of talk goes on for a while. Each episode, Bo predictably meets someone who is absolutely awed by her unaligned status, not to mention how personally amazing she is. This is far in excess of her actual accomplishments, but that pesky fact is never acknowledged. Bo’s extreme candy overdose ends up working directly against Lost Girl’s core story: someone who needs to discover where they belong. We’re supposed to empathize with Bo as she searches for her biological parents and feel bad that she’s never fit in among the human world. The problem is that we can’t. Bo is held up on such a high pedestal that it’s impossible to take her problems seriously. While an oversweet protagonist is only one of Lost Girl’s problems, Babylon Five was an otherwise fantastic show. It had complex plots, three-dimensional characters, a well developed setting, the works. 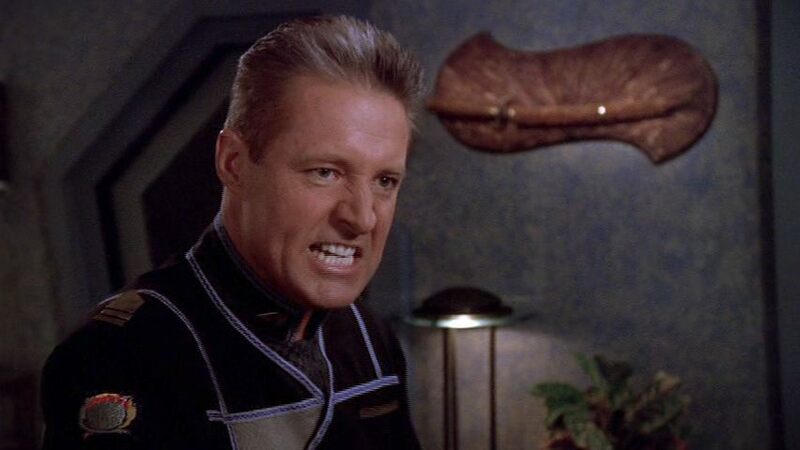 Other than its lackluster special effects, the only thing holding B5 back was John Sheridan, a main character who could literally do no wrong. At the start of the series, Sheridan’s claim to fame is that he was the only human commander to destroy a Minbari cruiser during the Earth Minbari War. * He did this with a fake distress signal that made his opponents believe his ship was in trouble. When the Minbari ship moved in expecting an easy kill,* he let go with everything he had. That’s certainly clever and a reason for him to be famous. Unfortunately, B5 wasn’t willing to stop there. Character after character expounds upon Sheridan’s tactical genius. They make him sound like a fusion of Hannibal and Grand Admiral Thrawn, the most capable battle commander humanity has ever produced. It quickly exceeds what Sheridan’s actually accomplished, but no one comments that his reputation is inflated. We’re expected to believe he’s that good. This could have worked if his accomplishments in the show backed up this supposed prowess, but they don’t. His battle plans are simplistic, such as “strong ships in the front, weaker ships in the back.” Maybe the creators couldn’t write convincing tactical dialogue. Absolutely nothing important can happen without Sheridan there to oversee it. If he can’t lead a mission himself, every character becomes convinced that it’s doomed to failure. He vanishes mysteriously at the end of season 3, and season 4 starts by telling us that the other characters have spent months moping around doing nothing. They were completely lost without him. The final nail in the coffin comes after his season 4 return, when Sheridan starts issuing strange orders that make little sense. Since he’s just undergone a highly suspicious disappearance, none of of the other characters question this. None but Security Chief Garibaldi. Is this a sign that something might be wrong with Sheridan and that Garibaldi will get to the bottom of it? Of course not! It’s a sign that Garibaldi’s mind has been altered by a hostile telepath. Thats right, characters must be mind controlled before they’ll question Sheridan. In all fairness, Sheridan was a backup protagonist brought in when the actor for the original main character quit. * In fact, this might be the reason he was so heavily glazed. The writers were trying to make up for lost time and overcompensated. As a result, Sheridan’s endless stream of greatness eventually blurs together, until none of it has any meaning. 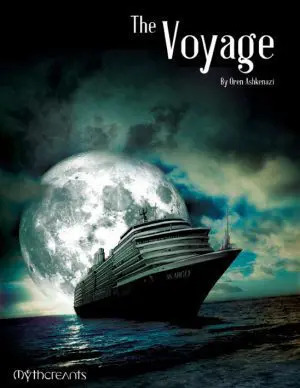 We acknowledge that we are walking a very dangerous sort of tightrope with a female captain. She is judged by different standards. If she shows any weakness, if she shows too much emotion in a situation of stress, it damages her in the eyes of the audience. So we have to be careful that in professional situations, in leadership situations on the bridge, at all times she is completely in control. -Jeri Taylor, quoted in Captains’ Logs: Supplemental by Edward Gross and Mark A. Altman, 1996. The show’s creators were terrified that if they ever portrayed Janeway being wrong in any way, the audience would think she was weak. * To compensate, she is always right about everything, even when it stretches credibility. In the episode Time and Again, Janeway and Tom Paris are sent a day or so back in time. This puts them just before a planet destroying explosion. Paris wants to stop the explosion because it would save billions of lives. Janeway orders him not to because… interference is wrong? Making those orders look good is a hard sell. Later, viewers discover that the crew themselves caused the explosion. This creates a paradox,* but more importantly, it makes Janeway right. 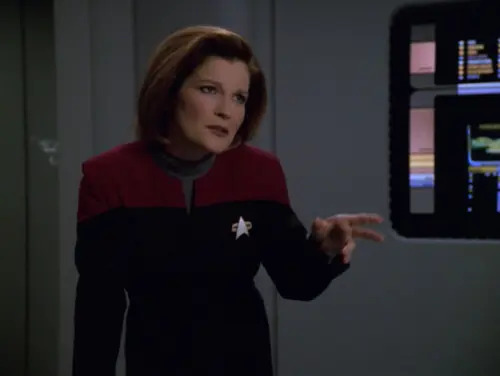 Similarly, in Prototype, Janeway denies aid to a race of robots because you never know where helping people will lead. Then it turns out these robots just happened to be crazy warmongers. Good thing too, because how awkward would it have been if they were a race of harmless pacifists? Where the “Janeway’s always right” doctrine does the most damage is intercharacter relationships. Voyager’s premise was that the crew was formed from both Starfleet and a terrorist splinter group called the Maqui. This creates a situation ripe for juicy conflict. The Maqui should be chafing at Janeway’s orders, resenting her complex procedures and strict moral code. Unfortunately, that doesn’t happen. The Maqui characters all fall completely in love with Janeway before the second episode is finished, and it isn’t until season four that there’s finally a bit of pushback against her commands. Compare that to William Adama or Honor Harrington. Both of these characters had their orders questioned on multiple occasions, so they had to step up and prove themselves. The audience respected them more for it, not less. Just to be clear, this is only in reference to Captain Kirk from Star Trek V: The Final Frontier. Other iterations of Kirk have plenty of spinach to keep them grounded. This one, not so much. Star Trek V is generally acknowledged as being the worst film in the franchise, and that’s largely because it’s a love letter from director William Shatner to his character. When Kirk shows up in his broken ship, he eventually runs into Cybok, the film’s villain. Cybok either has mind control powers or is so charismatic that he can convince anyone to join his cause. The movie never makes it clear which. Either way, Kirk is inexplicably immune. His will is so strong he easily defeats a villain who turned even Spock. There are also Klingons in the movie, and they immediately drop everything they’re doing to go fight Kirk because they’ve heard how awesome he is. To be clear, this isn’t because of some wrong he committed against the Klingon Empire. They want to fight him because he’s really cool. So when they are taken to the center of the galaxy and confront an alien pretending to be god,* it’s not a surprise that Kirk is the one to question it. Nor is it impressive. The movie has spent so much time trying to drown us in Kirk’s awesomeness, that we’re completely numb. Nothing Kirk does – no matter how grand – will impress us because it isn’t earned. Or is he the 12th Doctor now? The John Hurt Christmas Special still confuses me. The Doctor has always been a bit problematic in the candy department, being an immortal alien who knows just about everything, but it only became a major problem once Stephen Moffat was at the controls. First, there was a marked increase in “I’m the Doctor” speeches. Whovians know what I’m talking about. It’s around two-thirds of the way through an episode, and the Doctor is facing down some kind of unstoppable enemy. Suddenly he turns and begins to give a speech about how the enemy should fear him, not because he has any way of defeating it but because he’s the gods damned DOCTOR. He’ll go on at some length about all the awesome stuff he’s done and how with all that under his belt, this current problem will be absolute cake. Then the bad guys run away, or hesitate, or the situation somehow turns to the Doctor’s advantage. This was cool the first time it happened. We fans thought “Yeah, he is the Doctor! His show is more than half a century old; you punk aliens have no chance!” The second time, it was still pretty cool. The third and fourth… let’s just say it was overstaying its welcome. The Doctor could only trade on his reputation so many times before we started to feel like he was all talk. Instead of orating about being badass, he has to actually be badass sometimes. 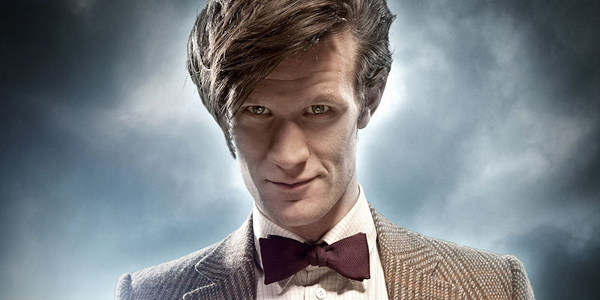 In addition, the Doctor’s importance in the universe has grown with each new season. He’s always been central, zipping around important events in his marvelous blue box, but things got ridiculous under Moffat. The ending of seasons five and six have both revolved around enormously complicated plots against the Doctor himself. It’s even been established that the Doctor’s real name* has universe-ending powers. We get it, he’s important! Finally, every other character admires him. Secondary characters in the Who universe have long spoken of the Doctor with some degree of reverence, but for #11 it’s almost cultish. Amy Pond is so into the Doctor that she tries to put the moves on him less than 24 hours before her wedding. Rory, the man she’s supposed to marry, is constantly facing self confidence issues because the Doctor is so much more awesome than him. Even River Song, who is a badass time traveler in her own right, spends most of her dialogue praising the Doctor. Even worse, #11 is the most immature Doctor since the show’s return. All of this glorification dumped onto an annoying character makes the whole thing sour very quickly. It’s the same for every character on this list, in fact. When the writers overload us with how awesome a protagonist is, we eventually stop caring. Without contrast, it all becomes noise. Accomplishments cease to have value, and we actually fantasize about failure. For Doctor Who at least, there’s still time to set things right. Maybe Moffat’s learned his lesson, and the Peter Capaldi Doctor will work for his sweets. Originating from our own Chris Winkle, no less. “War” belies just how one-sided it was. Yes, the Minbari ship went after him specifically because they thought his ship was sending a mayday. Jerks. I suppose Commander Ivanova had one too many X chromosomes to be the main character. Sadly, the creators may have been right. The only reason they went there in the first place was to investigate the explosion. The Enterprise’s transporter is, in fact, offline. I think I would like to nominate film version of Legolas as an honorable mention for this list. Yeah, if he were the main character, that would be a really serious problem. As it is I guess Peter Jackson just really likes elves. The film version of Legolas from Lord of the Rings, no. The one from the Hobbit, yes. I don’t like even thinking about Legolas in the films. Something about him just makes me hate him and makes me hope he will die in every fight scene. Maybe it’s the fact that if he just pushed the human with the ring off the cliff in the exposition at the start of the films none of the plot would of needed to of happened. Actually, Legolas wasn’t the elf in the exposition. That was Elrond. The issue with #11 is that where Russel T. Davies wrote his episodes as if he were a companion travelling with the doctor, Steven Moffat writes his episodes as if he WERE the Doctor. Buffy, not so sure. She doesn’t mess up that often, but she has enough “spinach” to make her… well, not completely ridiculous. You make a good point about all these aforementioned characters, especially Kirk! LOL! However, there is one thing I would like to point out in reference to Star Trek V, specifically, the Klingons. Yes, the Klingons wanted to fight Kirk because they know how “awesome” he is, but part of their motivation was to get revenge for Kirk killing Captain Kruge. Did they ever mention Kruge in Star Trek V? I know that was a big deal in Star Trek IV and Star Trek VI, and it worked really well then. In answer to your question, no, Kruge was never mentioned. I was simply referring him from a Star Trek fan’s perspective! Perfect choices, and the fatigue of the 11th Doctor worship prevented me from even finishing his first season. I confess I read this post hoping Skye from ‘Agents of SHIELD’ would make the list. They may have jokingly called her “Mary Sue Poots” once in the show, but that didn’t change the other characters from continuing to treat her like one. I stopped watching Shield after season one, and by that point Skye was still in the “what are we even doing with this character” stage. Perhaps she’d have been on the list if I’d watched further. I would love to mention another character with too much candy. Claire Fraser from the Outlander TV series. This is a character that takes the term ‘Mary Sue’ and turns it into an art-form. She is never, ever wrong And if by chance she does get it wrong, people fall all over her to forgive her and excuse her mistakes. Everyone she loves is wonderful. Everyone she hates is a cruel and terrible person. She is beautiful, smart, industrious, capable, always right, a healer, a mystique, a wise, progressive thinker, (did I mention always right?) and always makes the people around her look and feel stupid.